The biomechanics of hammertoes is often underappreciated when it comes to the grand scheme of foot mechanics. Nevertheless, the toes through the action of the windlass and reverse windlass modulate foot stiffness both in stance and propulsion. The hammertoe is one of the most common digital deformities. 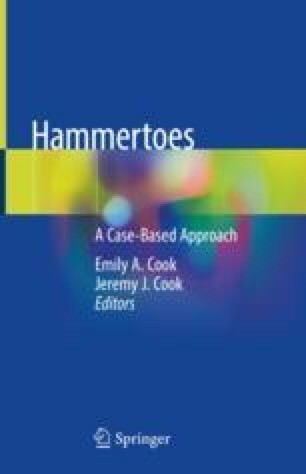 While etiology is multifactorial, the hammertoe has a spectrum of deformity. In early stages, the condition is flexible, while in the later stages, the toe stiffens and can lead to eventual attenuation or rupture of the plantar plate. The final stage of the deformity involved dislocation of the metatarsophalangeal joint. A sound understanding of digital biomechanics is helpful in the successful management of digital deformities.